Located on a generous sized plot this longere is ripe for renovation. Consisting of three units. The first unit consists of a lounge, kitchen, bathroom and two bedrooms. There is also attic space. The next unit has one large room, bedroom and a large shower room area which could make a perfect gite for two people. 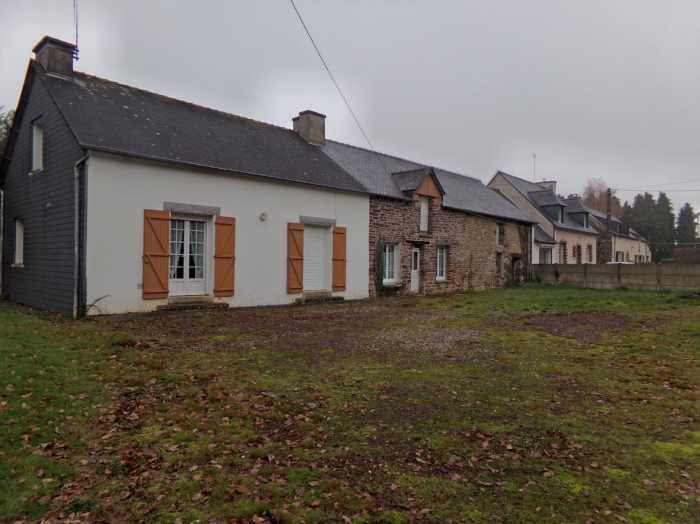 The third unit is currently used as a wood store but this too could be renovated to create another small gite for a couple. Gite accommodation in this area is popular and this property could offer you a lovely home and an additional income or could just offer you that extra accommodation for visiting family and friends. In the grounds you also have a garage / workshop The town of Mauron is in an excellent location for discovering the beautiful and popular department of Morbihan and beyond. Within easy driving distance of both the North and South coasts, benefiting from good transport links. This property once renovated will offer the most lovely home. Attache to neighbour. Garden wall is boundary.